Averaging 750 sq. ft. (70m2), Club One Bedroom units have the look and feel of stylish Manhattan apartments. 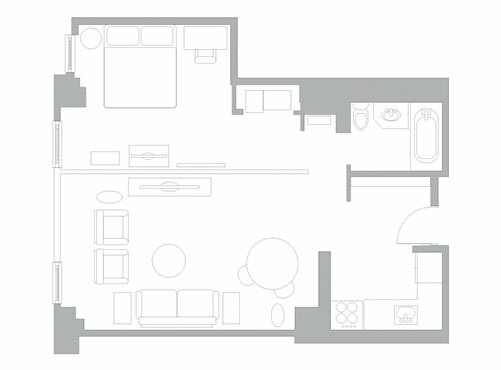 Like all Club Residences, Club One Bedroom units feature a full kitchen and separate living and dining areas. Every detail is handpicked: Herman Miller Chairs, Bose Entertainment System and LED HD Televisions. Between visits, Owners may store clothing and other personal items in a personal wardrobe locker which is placed in their Residence prior to the Owner’s arrival.